Ah, sunny Bali-fornia. Since 2000, the island of the Gods see an average of five million tourists each year and for good reason. With stunning resorts spread across the different islands, hipster cafes and beach clubs aplenty, there’s something for everyone on this magical island. I visited Bali three times alone last year (yes, it’s like my second home) and I can never get enough of the glorious sunsets in paradise. This time around, I did something a little different than party it up in buzzing Seminyak. Just a half hour journey from the hustle and bustle of Bali’s center, you’ll find yourself along the coast of Nusa Dua. 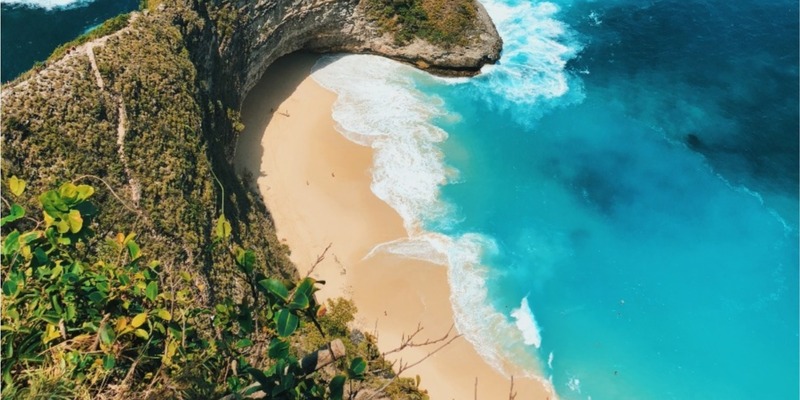 The southern part of Bali is no well kept secret but it sure does deserve a visit. This luxury beachfront resort is situated in an exclusive compound of the Nusa Dua area where all the other signature resorts can be found. From the moment you arrive, you will be enchanted by the soaring entrance fashioned after a traditional Balinese rice barn lobby. 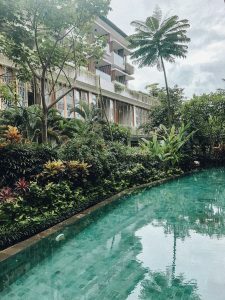 The resort emulates the style of a Balinese Penglipuran village, a traditional countryside village living up to the culture and characteristics of Balinese people with architecture inspired by 7 Hindu Goddesses. You’ve probably seen this beach all over your Instafeed at some point. 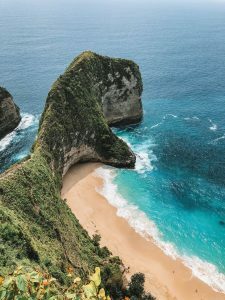 A short boat ride from Nusa Dua over to the island of Nusa Peninda and you’ll discover the beaches of your dreams. 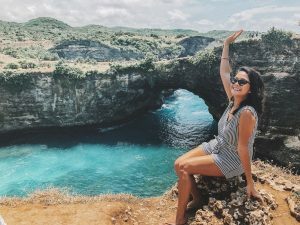 Secluded, white sandy beach with azure blue waters enclosed by a steep cliff & headland — everywhere you go, you’ll find a spot for the ‘gram. Literally translating to ‘duck next to a rice paddy field’, this is what you get when you visit Bebek Tepi Sawah. 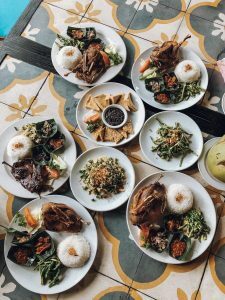 Fried duck that is so crispy and Indonesian favourites so tasty, it makes it impossible to not want more! Kopi luwak, or civet coffee, is coffee that includes partially digested coffee cherries, eaten and defecated by the Asian palm civet. 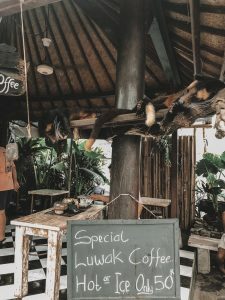 Roam around and you’ll find cafes dedicated to luwak coffee with little furry friends to accompany your cuppa joe. Get lost and shop til you drop at this shopping center in Nusa Dua. 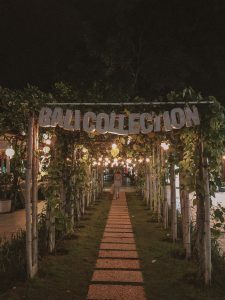 Filled with plenty of bars and restaurants too, it’s pretty easy to spend a whole day getting lost and browsing through exclusive Balinese brands.